Despite many entomology courses and practicals, I have never found moths particularly attractive. 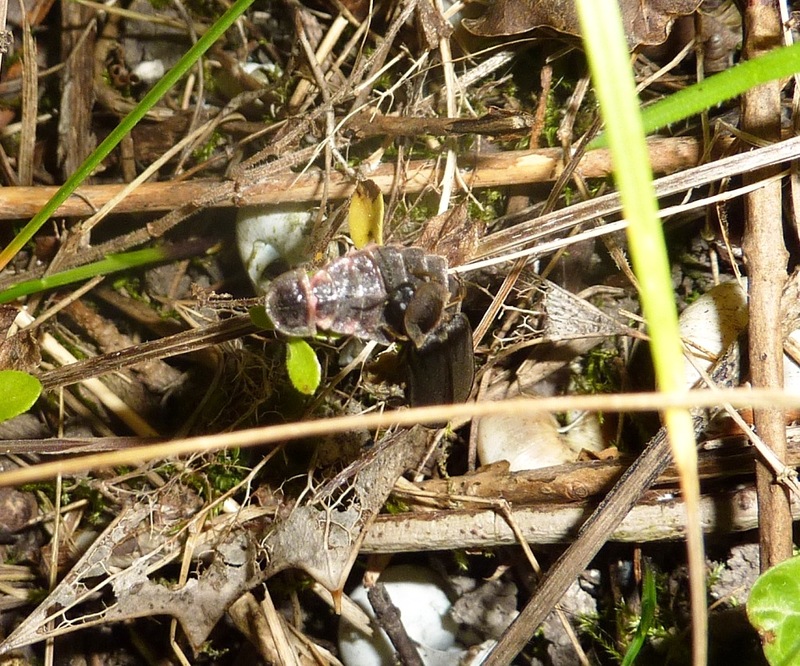 So when I read about a mothing event in Guildford’s Pewley Down reserve, just 5 minutes from where I live, I thought : why not? This might be interesting. Maybe I should start by explaining what moths are! 1) Many people think butterflies are lovely, bright-coloured, threatened creatures flying in grasslands and gardens in summer. 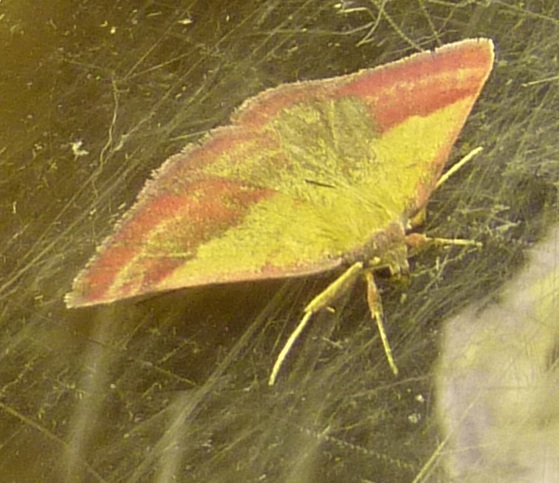 But overall, there are more species of moths (around 2500 species in the UK) than butterflies (only 60 species). 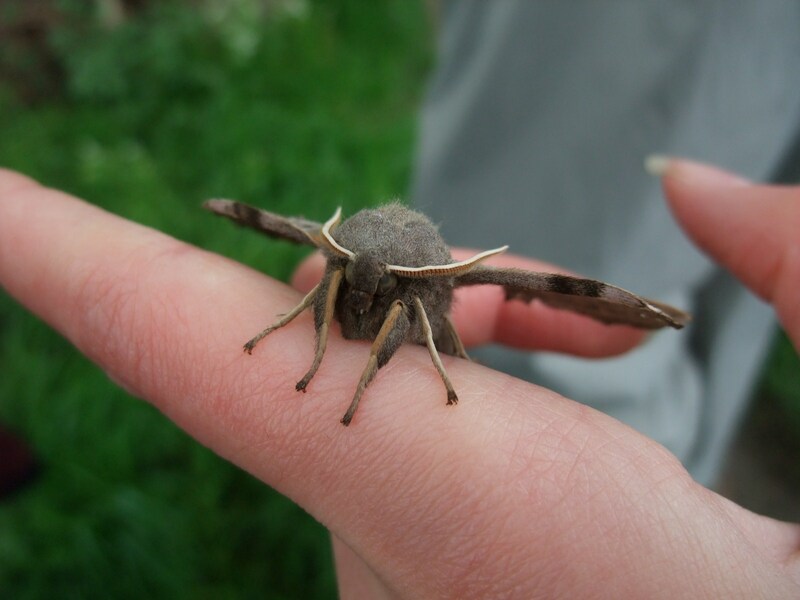 2) Contrary to a popular belief, moths are NOT “night butterflies”. 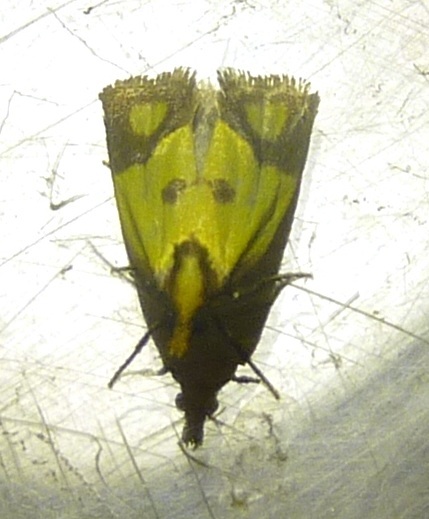 Well, the majority of moths flies at night, that’s right ; but there are many daylight species (actually, there are more species of moths flying in the day than there are of butterflies!). Some butterflies tend to fly at dawn or dusk, which is even more confusing. 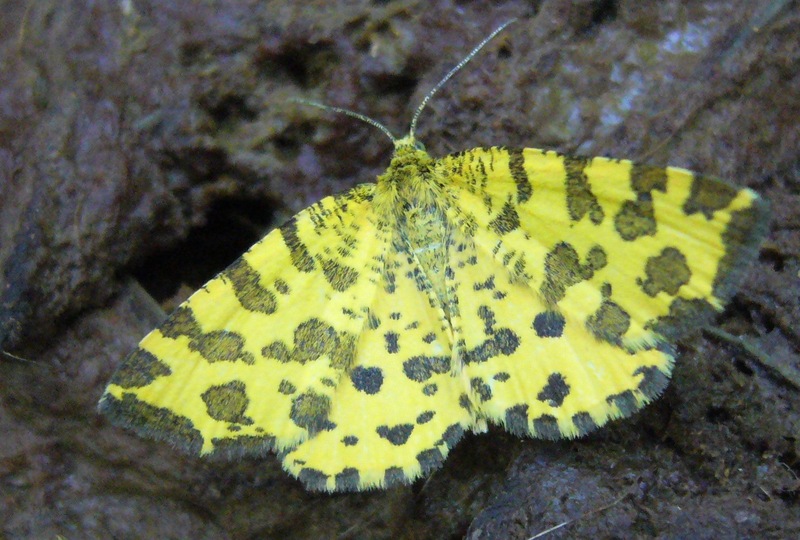 3) Moths are usually less coloured than butterflies. This is true, but beware…not always! 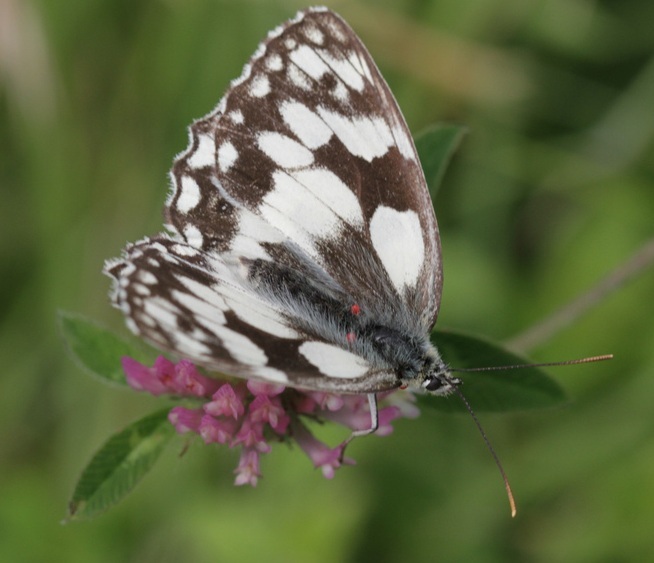 Left picture is a day-flying moth (the Speckled Yellow, Pseudopanthera maculata), right one is a butterfly (the Marbled white, Melanargia galathea). Tricky. 4) Butterflies are larger than moths. Again, true for a certain number of species, but not always. The Oak eggar (Lasiocampa quercus) for example can reach wingspans of 9 cm, which is way more than many butterflies! 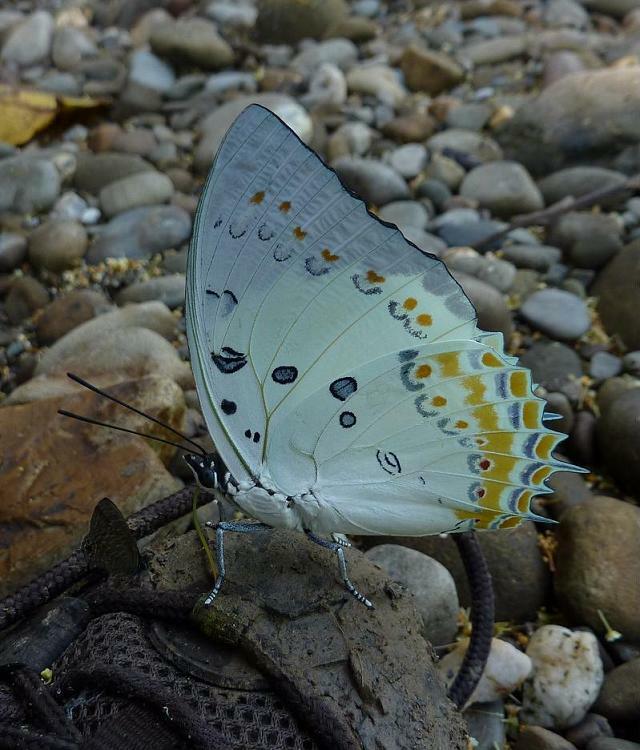 5) Butterflies have thinner antennae : usually true. 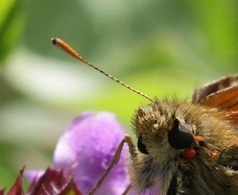 Butterflies tend to have thin, thread-like antennae with a little club at the end like this Skipper whereas moths have thicker, comb-like or feather-like antennae. 6) When resting, butterflies hold their wings vertically while moths have their wings in a flat position. Mostly true (but with exceptions, again!). Now, back to the event! The walk, organized by Guildford Borough Council (http://www.guildford.gov.uk/article/5246/Countryside-events-2012) and the Surrey/SW London Branch of Butterfly Conservation charity (http://www.surreybutterflies.org) started with a bit of bat-hunting. We only heard a few pipistrelles, but while we were walking, we noticed three of these green-fluorescent lights glowing in the grasses. LEDs? No, glow worms! Glow worms (Lampyris noctiluca) are a species of beetle with a strong sexual dimorphism (difference between males and females). The female retains a larval, “worm-like” shape, even as an adult and emits green light with its abdomen to attract males. 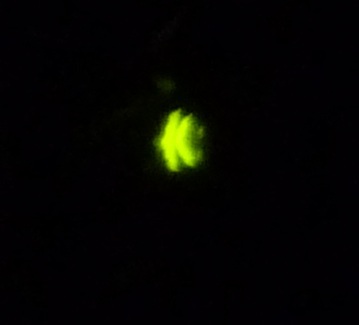 I was very lucky to snap a glow worm mating. 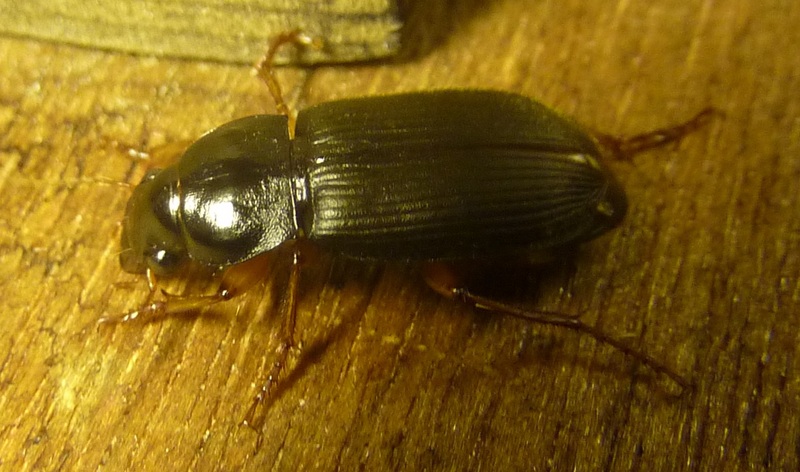 The male, climbing on the female has a “normal” beetle shape (contrary to the female, it can fly). What an interesting insect! 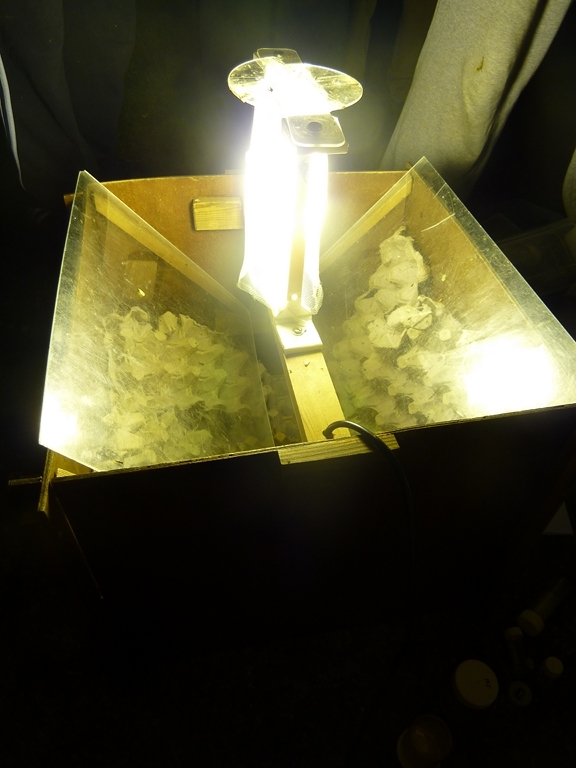 Basically, it’s a large box with two leaning surfaces (here, two glass plates) and a bright light at the top. The bottom and sides of the box are filled with stacked egg boxes, which offer a place to rest for the moths when they fall in the trap (and a clever way to observe them). I was surprised at how effective the trap is to attract moths. Some of the species we could observe (but moths are bloody difficult to photograph!) 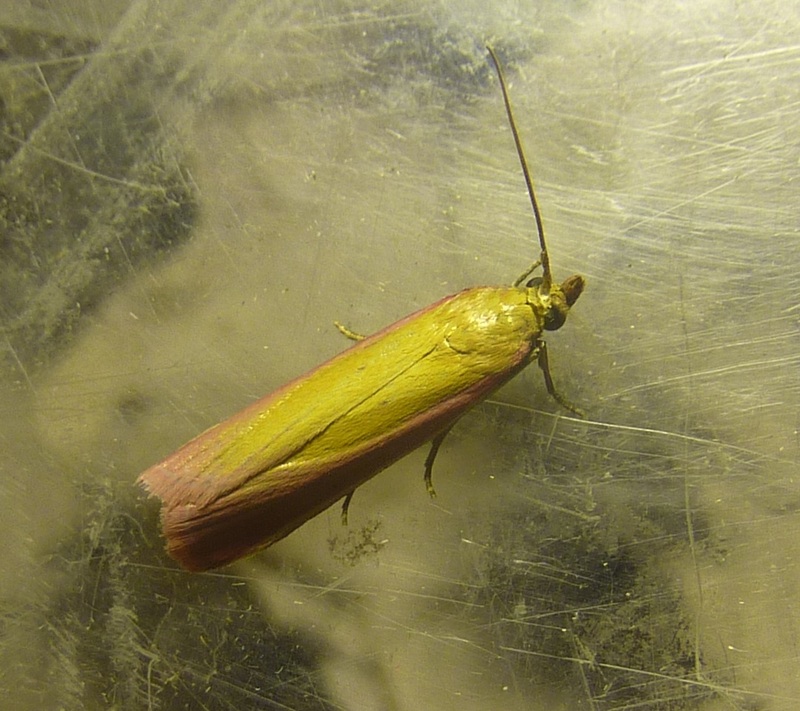 : Oncocera semirubella (found in Southern England chalkland, feeding on clover & trefoil), Agapeta zoegana (feeding on knapweed), Phytometra viridaria (Small Purple-barred, found in chalkland, feeding on Milkwort) and an unidentified geometer moth. Moths are not the only insects attracted by light at night! Many species of flies and beetles were crawling on the trap, like this night-flying dung beetle (Aphodius rufipes), a very frequent visitor of moth traps. 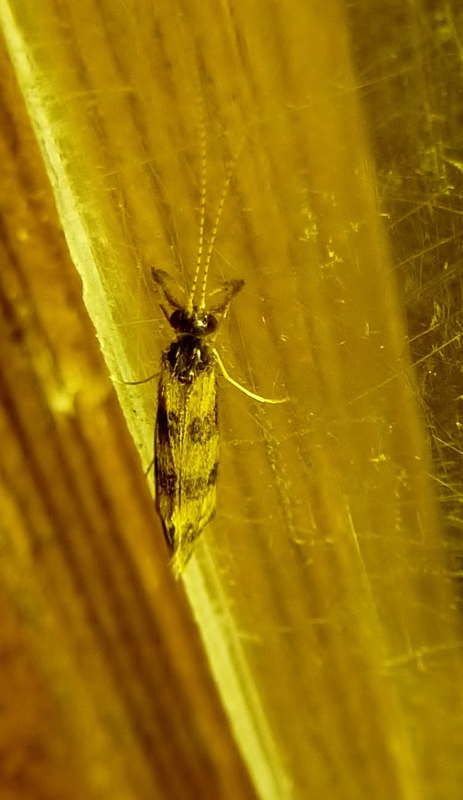 The second one, which looks like a bizarre fly with striped antennae is in fact a Caddisfly (Trichoptera), an insect closely related to moths, with aquatic larvae. Previous Post My first adder! Another fascinating post Sophie. I didn’t know the oak eggar moth was that big. I see privet hawk moths around here which are huge, but 9cm really is a whopper! 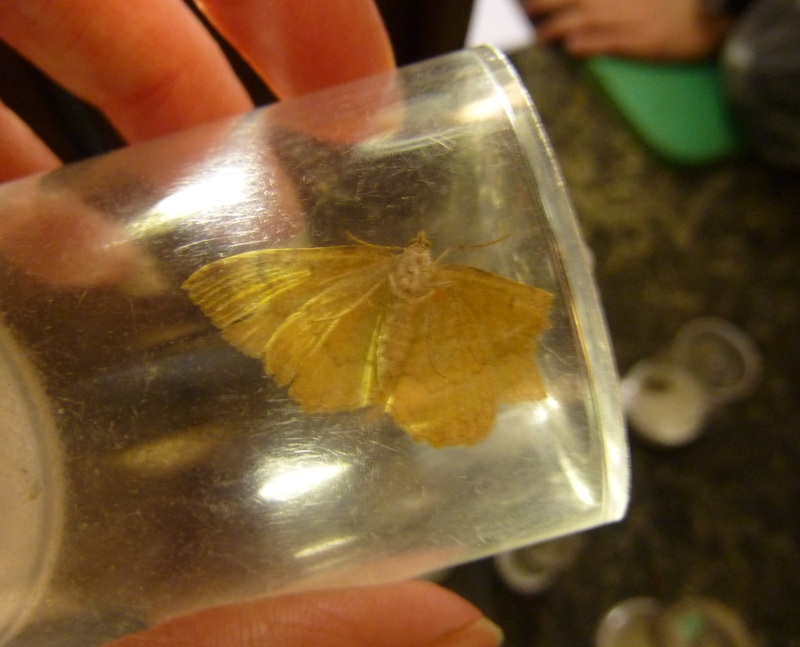 The female oak eggar is larger than the male (as often with moths). The biggest I ever saw was 7.9 cm, in Belgium…much impressive!